Mono Vampire Bangkok (TBL) signed 26-year old naturalized American small forward Moses Morgan (198-101kg-92, college: CS Fullerton). 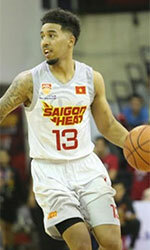 He played last season at Saigon Heat in Vietnamese VBA league. 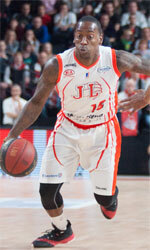 In 19 ASEAN League games he had very impressive stats: 17.8ppg, 7.1rpg, 2.0apg and 1.4spg. The list of the past achievements is quite long as among others Morgan's team made it to the Thailand TBSL Semifinals in 2017. He was also voted Asia-Basket.com All-ASEAN League Honorable Mention in 2016. Morgan has played previously for Thailand team Mad Goat. He attended California State University, Fullerton until 2015 and it will be his fourth season as a professional player.